I’m going through a major broccoli kick right now. I think it’s the color. I’m desperate for signs of spring and the bright green of broccoli stalks is the reminder I need that spring is on its way, even if it’s a little later than I would prefer. Luckily for me, I’m heading to Texas tomorrow (!!!) where temperatures have been more summer-like than spring-like. I’ll take it! It wasn’t just the cheery appearance that won me over when I made this side dish a few weeks ago. This rivals the roasted zucchini with chickpeas for my new favorite side dish. 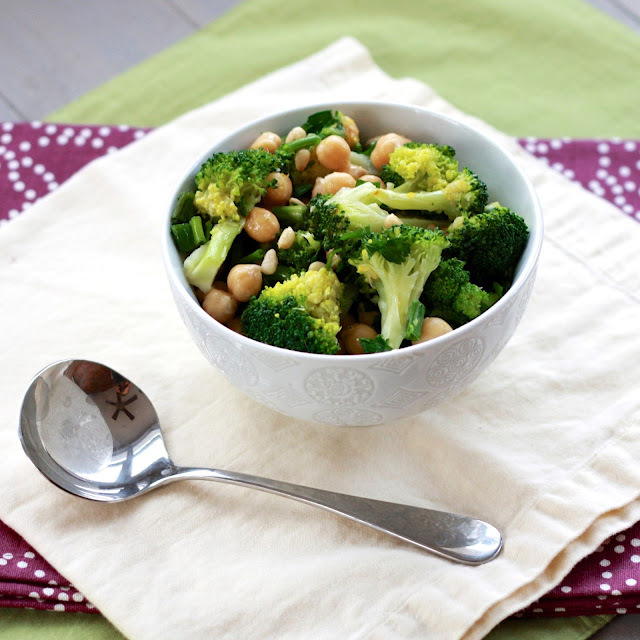 Granted, they’re similar, both tossed in a lemony dressing and mixing a green vegetable with chickpeas. Unlike the zucchini dish, you don’t have to turn on the oven for this one. The chickpeas are rinsed and then tossed with steamed broccoli (which I used my microwave for). The pine nuts finish the salad with just the right amount of toasted crunch! Though I’m pretty sure this is meant to serve at least four, my sister Renatta, Ryan, and I all went back for seconds and finished the dish off, if that’s any indication of our fandom. 1. 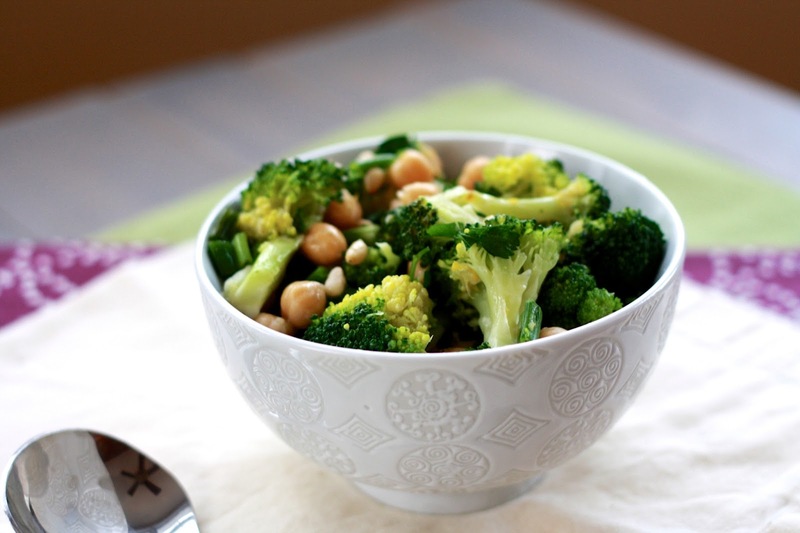 Steam broccoli florets until just tender, 5-7 minutes. Once cool, chop and combine with chickpeas, scallions, parsley, and pine nuts. 2. In a bowl, combine garlic, mustard, honey, lemon zest, and juice. Slowly add oil, whisking to emulsify. Season with salt and pepper. 3. Toss dressing with broccoli mixture and season with additional salt and pepper, if needed.